Ms. Austin’s practice focuses on collective bargaining negotiations and personnel matters. She assists school districts, county office of education, and community college districts in negotiating collective bargaining agreements, resolving grievances and unfair practice charges, and handling personnel matters. Ms. Austin also assists clients with Title IX and Clery Act compliance, as well as investigations of alleged discrimination or harassment. Ms. Austin also assists clients with website accessibility issues. 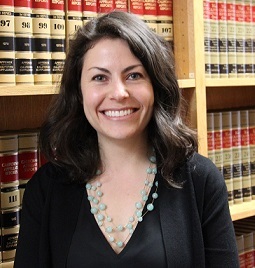 Prior to joining SCLS, Ms. Austin practiced special education law representing public school districts at a law firm in Southern California for over 3 ½ years, where she worked extensively on matters pending before the California Office of Administrative Hearings. She developed expertise in analyzing special education documents, including IEPs, multidisciplinary assessments, and transition plans, for legal compliance. While in law school, she interned at a human rights NGO in Thailand teaching English to refugee women and Thai schoolchildren. Her capstone project for her M.P.A. 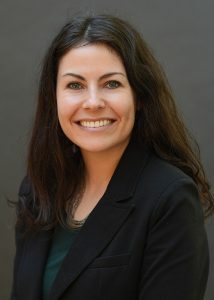 degree involved a qualitative research study which identified common barriers facing community college students in Oregon as they transferred to four-year institutions. Ms. Austin is a member of the State Bars of California, Washington, and Pennsylvania. The material and information on this web site are made available by School & College Legal Services (“SCLS”) for informational purposes only and should not be considered legal advice. The transmission and receipt of information on the web site do not form or constitute an attorney-client relationship. Persons receiving information on this web site should not act upon the information provided without seeking professional legal counsel. Some links within this site may lead to other sites. The SCLS site does not incorporate any materials appearing in such linked sites by reference, and the firm does not necessarily sponsor, endorse or otherwise approve of such linked materials. SCLS wants you to be aware that when you click on links, which take you to third-party web sites, you will be subject to such third-party privacy policies. While we support the protection of privacy on the Internet, SCLS expressly disclaims any and all liability for the actions of third parties, including without limitation actions relating to the use and/or disclosure of information by third parties.